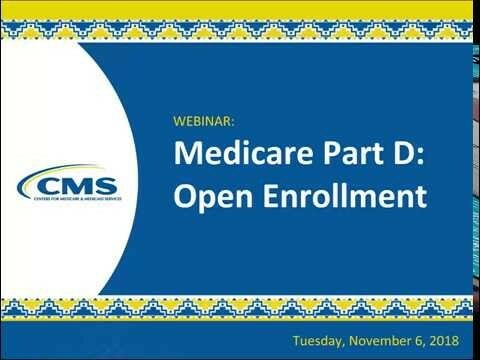 This webinar provides an overview of Medicare Part D and highlight updates and changes for this year's open enrollment period (October 15–December 7). CMS and IHS subject matter experts will focus on what Medicare Part D plans cover, how the plans work with Indian health facilities, and how to sign up. This entry was posted in medicare supplement and tagged Beneficiaries, CMS, Drug Coverage, eHealth, health care, healthcare, IHS, Medicaid, medicare, Open enrollment, part d, Providers. Bookmark the permalink. ← Will Progressives Pass Medicare For All Bill?